Do you consider a very spiritual person that her faith is part of your unique personality? Then take this fashionable statement with you every where you go! 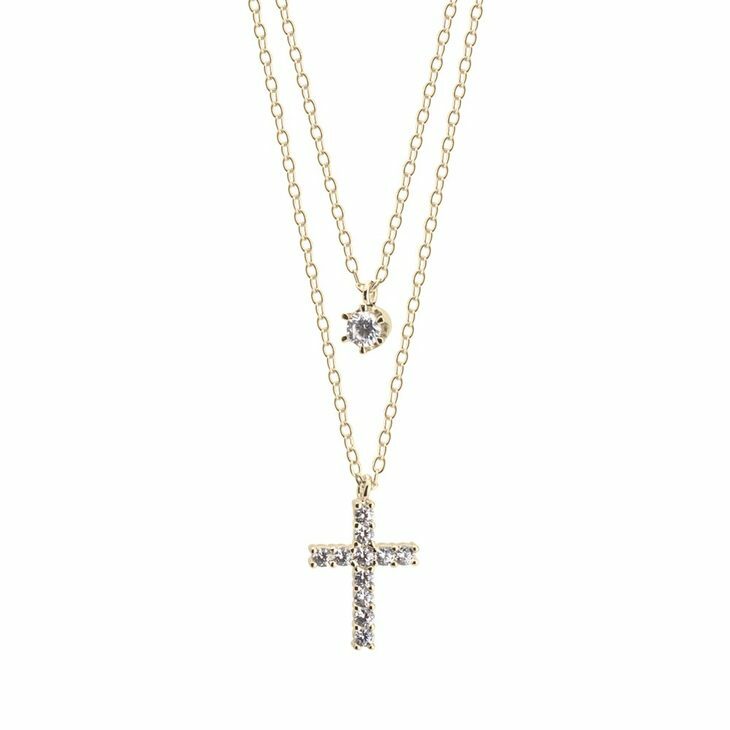 The Layered Cross Necklace is a super classy and sparkly way to show the light of your faith that is always with you. 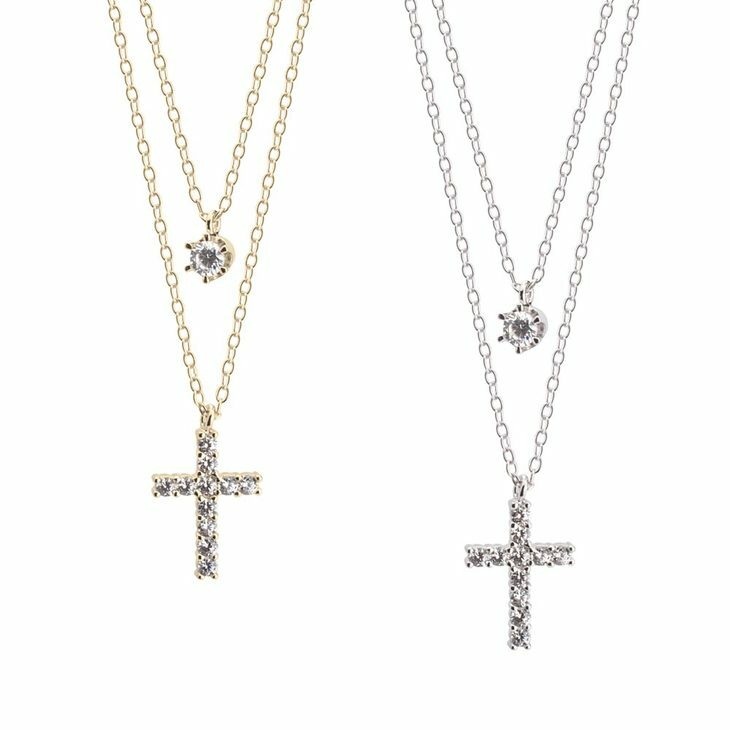 Its the perfect gift for a Bride to be! We have it in different tones for you to pick the one that goes more with your style.